The presence of this highly invasive plant should always be considered when buying or selling a property and can even impact the price secured for the property in question. So our friends at Environet have put together this handy blog on one of the UK’s most prevalent invasive plants, Japanese Knotweed, and what you can do to safeguard against it. 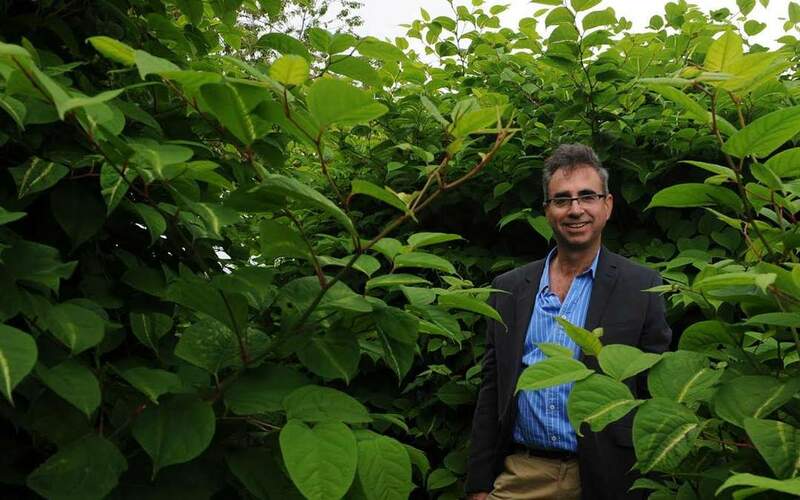 Nic Seal, Environmental Scientist and Managing Director of Environet UK LTD, a leading knotweed removal specialist company, explains the importance of knowing the key facts about the plant, whether you are a buyer or seller. “It is no co-incidence that Japanese knotweed has been described as indisputably the UK’s most aggressive and destructive invasive plant“ (Environment Agency). The annual spend in the UK on control and eradication is £165m, with in excess of 500,000 homes being affected. Knotweed is now so prevalent in the UK that there is not a single six-mile square patch where it is not present. Originally introduced into the UK as an ornamental plant in the 1840s, the Victorians considered knotweed a beautiful border shrub. However, they didn’t know then what we know now that knotweed can cause such damage and destruction to almost anything that gets in its way – tarmac, concrete, paving slabs and brick walls. As knotweed is classed as a controlled waste, disposal must be to a licensed landfill site. Only waste carriers registered with the Environment Agency are permitted to transport Japanese knotweed waste. Asparagus type shoots emerge in March and April, which grow into stems with green heart shaped leaves. Tiny creamy-white flowers appear in late summer, by which time the stems are up to 3 metres high and extremely dense. During the late autumn/winter the leaves fall and the canes die and turn brown. Although the canes remain standing throughout the winter, they will appear dark brown and dead looking. Don’t be fooled. The rhizome system beneath the ground is alive and well. It is important to be able to correctly identify it throughout the year and at Environet we offer a free identification service, whatever stage of growth it’s at. The problem will not be going away in a hurry, in 2015 we saw a 100% increase in cases compared to the previous year, which we mainly dealt with using our eco-friendly removal methods – Xtract™ and Resi-Dig-Out™. These methods are used throughout the year and can be completed in a matter of days, whereas herbicides can only be applied May- October. Clients are pleased with the immediate result, rather than having to wait 1-2 years for the knotweed to be eradicated which is the case when herbicides are used to treat it. 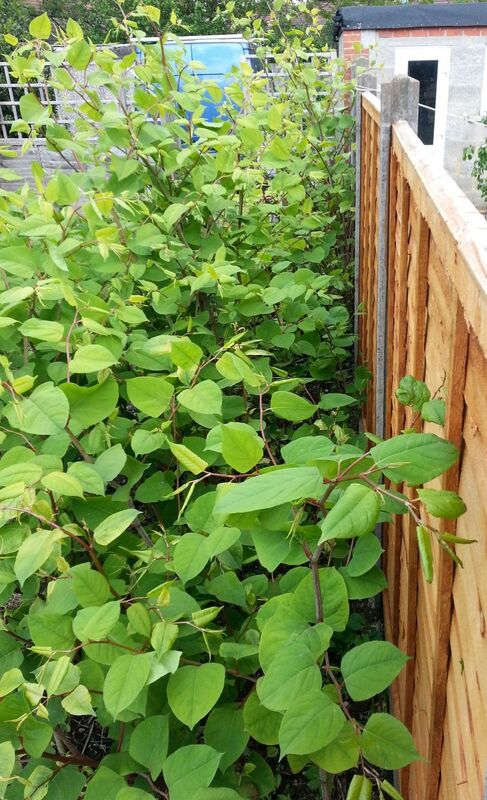 Buyers often insist that a seller instructs us to carry out the removal before they exchange contracts, giving them peace of mind that the knotweed has gone. If you are buying a property and are concerned about the risk of knotweed, there is now an insurance product that can provide protection for you and your lender, to cover the cost of treatment, repairs and any third party claims. Japanese Knotweed Indemnity Insurance is provided by Countrywide Legal Indemnities. We suggest you get advice from your conveyancing solicitor on the suitability of this insurance product. Cover is also available for existing homeowners wanting peace of mind who do not currently have knotweed and want to protect themselves against any future growth. Visit www.graftoninsurance.co.uk or ring 01932 450154 for details. There is now a legal duty on home owners to disclose on the TA6 conveyancing form whether the property is affected by knotweed, together with evidence of previous treatment plans and guarantees. Unfortunately there are some dishonest people around who don’t disclose it, leaving the unsuspecting buyer with the horrors of owning an infested property. Some knotweed victims decide to sue their sellers, their surveyor or solicitor. There are many cases in the press which state house values have been lowered considerably due to the presence of Japanese knotweed. One of the reasons for this diminution in value is that cash buyers often put in a lower offer, and resolve the knotweed problem themselves. The seller may feel obliged to accept this, as mortgage providers require treatment plans and guarantees to be in place before they will issue lending. The effect that knotweed has on the value of property is a debatable point. The cost of treatment/removal, repairs, encroachment and financing can all be quantified with a reasonable level of confidence. The question remains as to whether the property is blighted further by the mere fact that knotweed is present either on the property or on adjoining land. The consensus of professional opinion is that knotweed does cause further diminution in value, but the amount depends upon the specific circumstances and the quality and security of the guarantee or insurances applicable to the property. We recommend you seek expert valuation advice if there is a concern over the property’s value. Neighbours blighting your mortgage prospects? 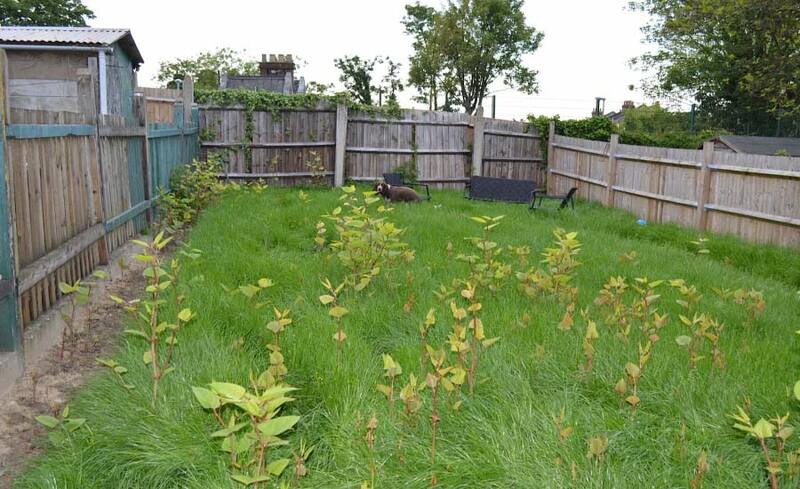 Obtaining a mortgage can be a serious problem where the property is infested with knotweed. Believe it or not, the same problem can apply when your property is clear,but knotweed is present on your neighbour’s land. All major lenders recognise the damage it can cause to property and tend to refuse a mortgage on affected land. The only way to obtain a mortgage is to get the knotweed professionally treated by a reputable company able to provide an insurance backed guarantee. In 2014 the Home Office issued guidance to extend the ASBO legislation to cover situations where home/landowners do not tackle their knotweed. Non-compliance with an ASBO is a criminal offence. Last February further powers were granted to the authorities under the Infrastructure Act 2015 to force landowners to tackle invasive species including Japanese knotweed, by issuing ‘Species Control Orders’ (SCO). As for ASBOs, non-compliance with a SCO is a criminal offence. Many buyers are put off from buying a property infested with knotweed, but in most cases it can be eradicated. We suggest that it is always worth getting advice from a professional knotweed removal company, before making any decisions.